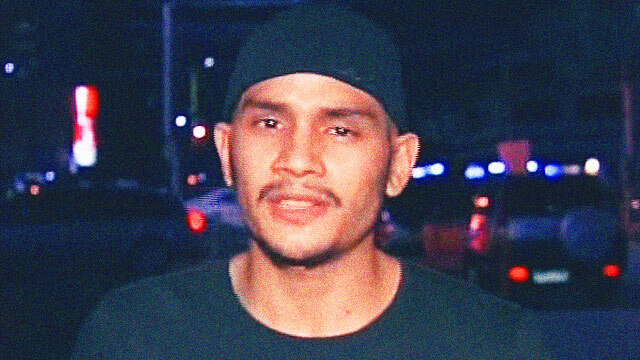 Indie film actor Kiko Matos, who has been identified as the man who sucker-punched Baron Geisler in a viral video over the weekend, has dared the latter to an actual fight. 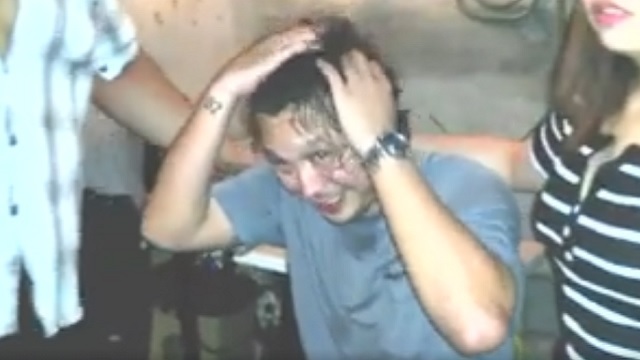 "Baron Geisler, ang dami mong sinasabi eh. Face me, don't Facebook me," Matos issued the challenge through an interview with GMA News. Matos also denied rumors that he disrespected a bartender. He said he just wanted to teach Geisler a lesson for being too arrogant. "Aminado ako na ako yung nakipag-shake hands pero gusto ko lang naman turuan ng leksyon si Baron eh. Di naman niya kasi pwedeng umasta na siya yung parang may-ari ng lugar," he said. Meanwhile, Geisler aired his side on the incident. "Hine-heckle niya ako noon sobra eh. Parang I really kept may cool pero may boiling point din ang isang tao. Bigla na lang nananakit yung tao hindi naman dapat ganoon. Pwede naman pag-usapan ang lahat ng bagay," he explained. Baron also said he would take up Kiko's challenge "anytime, anywhere." "Si Kiko Matos, I mean go ahead. I'm willing to fight him," he said. The two were shown in a viral video set in a Quezon City bar, where Matos suddenly assaulted Geisler while they were apparently shaking hands and making peace.